Hey There, Ramon Osa with ya here… and in this video, I’m going to walk you through 3 keys to developing effortless power and consistency on your serve… let’s mosey on over to the service line and get started. I just got back from a trip to the Philippines and there was this group of guys that got together everyday to play tennis. It’s all clay there, and there was this one guy who was in his late 60s… serving really well, up around 100 mph and we called him “attorney”. Apparently in the Philippines their nickname at the tennis club is their profession. Anyway, he had a pretty good serve, so I asked him where he learned how to do it. Interestingly enough he said watching youtube videos, and Major League Baseball Pitchers. And there were really 3 keys to his ability to get power on his serve, and these are universal. You’ll see all the best players do all 3 of these things if you pay attention. He had a great, tight coil. And really all this means is he created a lot of tension in his legs and core before he began his swing. His hips were turned away from the court, and his shoulders tightened the coil even more by further past the hips. I was studying Pete Sampras serve, and his coil was tremendous… look at that coil… not to mention that hair! Way to go, Pete. So you see here Pete’s body is turned AWAY from the court…his left hip is sticking out slightly into the court… a ton of tension before he releases it… like a big ol’ rubber band… this is much different than what I see a lot on the courts which is guys “muscling up” on the ball and trying to swing fast without a coil… not only is this inefficient, it’s a good way to get injured. Effortless power on the serve, is a result of having a tight coil… and the the next two things we’ll talk about. Release. Believe it or not, if you do steps 1 and 2 correctly, you are on the path to that elusive “effortless” power thing you hear everyone say. But it’s true… the release will come naturally and effortlessly if you are totally relaxed and, you just throw that racket head UPWARDS into the ball. Incidentally, I get a lot of emails from friends that don’t get this whole racket drop thing, and I’ll do another video on this in the future, but for now, realize, the racket drop will “happen” if you’re relaxed and you release. As a bonus tip, the serve IS an upward throwing motion. And you hear a lot of coaches say if you want a better serve, practice your throw… and that’s absolutely true. However, Make sure you also practice throwing the ball UPWARD. Because that’s going to allow you to create the shape on the serve that will ultimately give you the consistency you’re looking for. And as one of my first coaches said “Power Thrills… but Consistency Kills” and that’s true most of the time. Thanks so much for watching this video, I had a great time making it for you as I enjoy making every video for you. If you’re in to cool videos that help your serve, I’ve got something your’e really going to love. It’s called the best serve drill ever, and I learned it from my good buddy Tim Schnaible who was Sam Query’s coach. It’s a secret “racket less” drill that you can do in your living room that will help you systematically develop a fluid, effortlessly powerful service motion that will help you reach a whole other level of consistency… and really deploy your new weapon on your unsuspecting opponents. You can have it for free just click on the link and check it out. Thanks again for watching this video…and I’ll see ya soon. Bye! 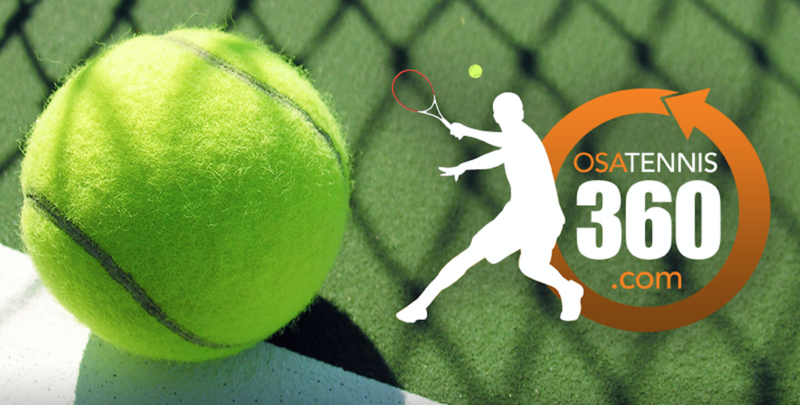 This entry was posted in Osa Tennis 360 HD Video Lessons (New subscribers) and tagged serve power, tennis serve, Tennis Serve Power. Bookmark the permalink.